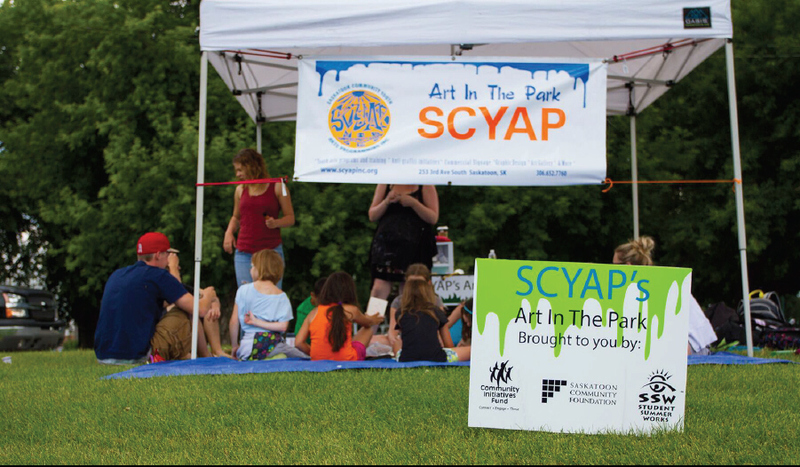 12 – 5 pm – Join SCYAP’s art leaders at Caswell Art in the Park for a fun afternoon of crafts and mini art projects. “Providing hope and the tools to succeed.” SCYAP Inc. is a charitable organization that meets the social, educational and economic needs of youth at risk through arts and culture. SCYAP was established in 2001 to offer street-level, youth-oriented solutions to crime and unemployment by using an interest in visual art as the key to personal development and redirection towards a healthier and development and redirection towards a healthier and more productive life. SCYAP’s programs give youth the opportunity to make a connection with the wider community and earn the recognition and confidence that comes with it.